Posted 10-6-2015 by Marika & filed under Sellers Tips. We have all been there. Walking into someone’s home either as a client or as the real estate agent and there it is….THE MESS! Rarely will an owner leave a mess behind as they are the ones eager to sell their home but when you are dealing with a tenant situation then it’s a 50% chance that the place will not be tidied up at all before your appointment. I usually warn all the parties involved before proceeding into a rental. If it is my listing, I call the showing agent and let them know that there may be a potential mess. If it is my client, I warn them that we may be walking into a disaster zone. The worst is when you pop into a unit and get overwhelmed by the mess because no one warned you. To judge a home by its mess is UNFAIR to the seller but who’s kidding who? We all judge the mess… I hear many agents say that a true buyer will look past the mess. Is this true? Can you look past the mess? I think it may be true for the experienced buyer but that mess is the first thing we see when we walk into the door. What is if stinks in there? What if the dog or cat made a really icky mess and someone steps on it? No one wants to be stepping on kitty litter especially after they were courteous enough to take their shoes off when walking through your home. When comparing a MESS with NO MESS, NO MESS wins! For sellers, my best advice is to treat EVERY showing like that is going to be the one! It takes one set of buyers to sell a house so ANY showing could be the one that gets you a deal. For sellers with tenants, well that’s another story – this is a VERY TOUGH ONE. If you live in the same city as your rental, try to pop in once in awhile, screen your tenants well and make it a deal that they have to keep the place tidy, especially for showings. Give them some incentive to keep it clean. Pay them in wine if you have to. If you want to sell your house then you’ll do what it takes and that may mean getting there 15 minutes before the showing each time to tidy up. It may also mean getting a professional cleaning service before the showing…that’s what I would do! Happy selling! Gangbusters! When real estate goes up! Posted 09-26-2015 by Marika & filed under Uncategorized. Posted 09-26-2015 by Marika & filed under A Week in the Life, Open House, Sellers Tips. There is no doubt in my mind that for a real estate agent, the summer real estate market is a really good time to hire an assistant! These last couple of weeks have been a whirlwind. Summer has come to an end and the trees began shedding their leaves for cooler autumn weather. Offers have come and gone, listings have come and gone, and new client relationships have developed. I spent many hours on the phone discussing options and negotiations, MORE hours on the computer sending emails and filling out the many documents we require for transactions, and just as many hours showing houses and working open houses! LIFE IS SO FULL! I want to focus on open houses this week since this is where I am at with one particular client. I usually do the first open house for a client two weeks into a listing. Two weeks gives plenty of exposure on MLS and plenty of time for other agents to show the property. Once that new listing hits the MLS (two weeks ago), every Buyer looking for a property with the same criteria as the listing, gets notified with a ‘New Listing email’ from their agents (as long as their agent uses the AWESOME auto email feature). The two weeks passes and here is our next marketing tactic – the open house. In Kelowna we are lucky that the business of the real estate market hangs around longer than other cities – weather being a major factor. Since we are in September and the weather is still mild, we have many tourists still visiting from other cities around Canada, and I am in the mood for an open house, we do one! Also, my client likes the idea of an open house, not all clients do. Realtor.ca has a great option where it allows consumers to view open house schedules online. This is why it is important to advertise your open house on MLS. We advertise a few days before on the MLS, on Facebook and Castanet, and other mediums for ads. The best time to do an open house really varies. This past weekend I know that The Taste of Kelowna was on from 12:00 – 3:00 so why not cater my open house around that and start around 2:30? Perfect! Usually a 2 – 3 hour window is plenty of time. So do I bring snacks to this open house for my guests or not? I set up open house signs around the major streets of Kelowna near the listing, leading people to my open house and sometimes I drop flyers off at the neighbouring houses. This is where the necessity of the open house comes to be questioned. Are these people really interested in buying my house or do they only want to see inside? Well, the truth is that many of the people will be simply ‘popping in’, and not a serious buyer but you never know as they may have a friend coming into town looking or a family member thinking about buying in the area. I’d say it is 50/50. Nowadays many consumers like to take the initial steps of home purchase into their own hands and peruse the open houses on a weekend basis until they are ready to hire an agent. Because of the location of the subject property, a REALTOR® as myself is able to gauge the idea of an open house as a marketing tool. For instance, the Kelowna Waterscapes complex is a hub for tourists and walking public – a perfect spot for non-stop traffic where as a subdivision in Kettle Valley is secluded so would only attract someone particularly interested in that area. It’s really the discretion of a Seller and their representing agent with many factors to consider. Stay tuned for more on listing properties in Kelowna and the process of real estate transactions as I work away in the many weeks to come. Remember if you have any questions I am always available by text, email and phone (in that order please). 7782141773 marikajwolf@gmail.com. Posted 09-15-2015 by Marika & filed under A Week in the Life. And so we meet again! The kids are in bed and I get to put my REALTOR(R) hat on once again…but first, a blog! All that searching in Kelowna’s downtown core for a condo these last few weeks led us to finalizing our decision today – I am about to prepare an offer for my client. We do not need it until tomorrow but I know for a fact my day is jammed pack and I won’t get to it unless I do it NOW. Good old Webforms is up and running ready for me to input my data. This transaction is pretty straightforward. A good offer, and a great, pre-approved client! I have done lots of chatting with the other agent and the strata manager (the one I woke up at 6:45 am this morning thinking it was her office Voicemail that I was calling – oops) so my due-diligence has a huge head start. By tomorrow night we should have an accepted deal. Thank goodness I am so organized and I will have everything ready to go. It is very important to be organized in my line of work. Prepare documents early, write things down in one spot, listen to clients, take notes, and PUT REMINDERS IN YOUR PHONE FOR EVERYTHING -> that was me yelling at myself. It really works – you should try it! Being organized is something I rely on, and each day I get better at it. I even have a Pinterest board for organization. Efficiency in the workplace relies on organization and I am super efficient. This week was quite the adjustment. I was able to come up with an effective schedule that allows me to keep this balance I require for home and work life. With the big drive to Nikolas’ school 4 days a week I am able to spend much needed time working, while he is learning. I don’t think I’ll be at the office everyday, but now I know I have the opportunity for extra computer time. I love computer time. Oh do I love computer time. While I was adjusting, I was able to squeeze in a wonderful meeting at Csek Creative. Vincent and Nikki Csek delighted me with their marketing/branding/social media/website knowledge, and I was able to think about what I want out of my career and how I will achieve it. It also got me thinking of a few awesome projects that will give back to the community. I often think about what I can give, what I can do, and what I can ‘organize’. I have a great idea for the new year and will have the help of the Csek team to get it launched. There is nothing better then a local organization on your team. Listening to them speak is like music to my ears and I cannot wait for our next meeting. With a new week in real estate beginning with an offer – I’d say I have a GREAT week ahead! Hope you do too and thanks for reading. Posted 09-8-2015 by Marika & filed under A Week in the Life, Balancing Work and Family. This is the first of my, A Week in the Life, series of blogs – a tribute to my work, clients, and family all in one! I hope everyone can get a glimpse of the lovely balance I have created and continually strive for. There’s nothing better than being able to reflect on the week and feel complete. This is how I feel after this September long weekend – complete. It was a week full of lots of work, and lots of play! I met a few new clients, got to explore the Kelowna Cultural District in depth, and visited many homes in the downtown area of Kelowna – the Kelowna real estate market is going strong! I also got to spend lots of time with the family and enjoyed every minute of it. Monday was Labour Day, the last of the summer long weekends, and great day to catch up on things and plan the rest of my week. Today, well, today’s most precious moment was dropping Nikolas off at school, his first day at Aberdeen Hall Preschool. Holy moly has this kid grown up fast! I have been lucky with my career as I am able to be there for my kids – I wouldn’t have it any other way. I will always be there for them first especially when it means driving them to school across town…it’s just a car ride that takes 40 minutes…that’s all. The smile on his face when he sees the school, and more so THE KIDS, is priceless and I wouldn’t miss it for the world. Besides, no one does real estate deals at 7:45 in the morning right! Now, back to reflecting on my week. Let’s focus on one major accomplishment. I am afraid that I could write a novel if I talk about each day… we don’t want that. It started it off by attending a wonderful event in support of Mamas for Mamas, a non-profit based on Moms helping other Moms. The lovely Amy Rauscher from MOGA hosted a fundraising/giving back event at Just 4 Fun Play Centre in West Kelowna. I believe all together she raised over $1200 and over 50 gifts to give back to the mamas who attended. AWESOME AMY! I think I will call her that from now on…AWESOME AMY! Here is the MOGA Facebook page. I was able to give away $100 to Homesense and 4 Bottles of wine for the event so that a few lovely ladies could enjoy themselves… mamas need a break sometimes too. I am VERY PROUD of being a part of these groups and I hope to be able to support them more as I go! MOGA is fitness for Moms where the focus is on strengthening the body to help with the regular things mamas do like picking up the baby, or putting toddlers in car seats and the best part about it is that you can bring the kids! Toddlers, babies, you name it. By clicking here you can check out the full description of MOGA on their webpage. Amy has been generous enough to host MOGA classes by donation for the last few months at the new Maternity Care centre at Prairie West Shopping Centre on Harvey and Westlake in West Kelowna (The centre that houses the new Fabricland), but she is also looking to expand and find her own space – this is where I come in. I have been helping Amy in her search for the perfect spot. We are looking for the ideal location in Kelowna for a yoga studio that has ample of FREE parking for mamas and enough room to house the kidlets that participate too. I hope we can find Amy her perfect MOGA spot soon! On a side note, I look forward to sharing my experiences with those who want to read about them in A Week in the Life… thanks for reading! Busy Condo Market in Kelowna; Real Estate is still hot! Posted 08-31-2015 by Marika & filed under All About Condos, Kelowna Market Statistics. I love it when I can say that the Kelowna Real Estate Market is “hot”. It ‘s not just our weather that everyone flocks here to – IT’S THE REAL ESTATE TOO! This last week in real estate has been very busy with my condo listings getting a whole lot of inquiries and multiple showings per day. I imagine this season is going to stay strong well into the fall months. I have noticed many more young people taking the initiative and asking questions – looking for information, and options, to be able to become home owners themselves. I bought my first place when I was in my early 20′s and think it is a great way to start and learn how real estate ownership can help you down the road. There is so much to learn even from the transaction itself. You learn laws and regulations that govern the purchase and sale of real estate, plus you get to become a responsible homeowner. WOW! Its a huge step forward in life. 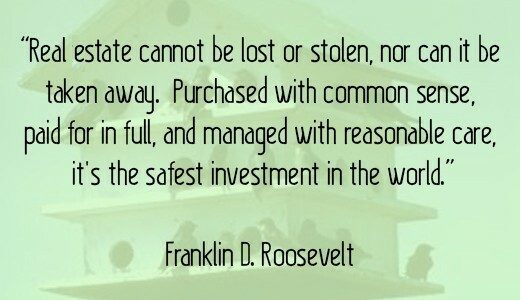 I believe home ownership to be the best, safest investment. If I can help someone achieve that goal I become the happiest Realtor(r) around! This is one of the reasons why I love my job so much. * During July, there were increases in purchases by move-up and downsizing buyers, moving from single family homes to stratas, or into retirement communities, and those purchasing recreation properties, compared to the previous month. *** More buyers moved from within the Board area, migrated from Saskatchewan and Manitoba, and immigrated from outside Canada during July than in the previous month. Thinking About Using RRSP’s for a Down Payment? Posted 08-25-2015 by Marika & filed under Buying in Kelowna, CREA. Did you miss this announcement? On August 12, 2015 Prime Minister Stephen Harper announced an increase to the Home Buyers’ Plan (HBP) withdrawal limit from $25 000 to $35,000. Posted 02-28-2015 by Marika & filed under Buying in Kelowna, New Developments. Today we will dive into Leasehold properties and explain how Leasehold works in relation to the Westbank First Nations (WFN) and buying Kelowna real estate. When purchasing property in BC, there are a few different classifications of property: Freehold and Strata are the most popular with Leasehold Property coming up shortly after. Background: In the 1960s, development on Westbank lands was minimal. In 1973, consultants were hired to develop a land use plan. The objective was to establish a land use policy framework and provide a process which would guide the band council, locatees, and developers. A series of by-laws were enacted by Council to create a framework of law and ensure consistency. In 1974, Westbank First Nation members voted in favour of surrendering 177.3 acres of reserve lands for a 99 year lease for the Lakeridge Park residential development. Westbank began exploring options for self-government in the 1970s. In the 1980s, Westbank assumed land management powers from Canada. A band subdivision was developed in 1981 and In 1982, twenty-four new homes were built. By 1986, the number of band member housing units had grown to 84. The band member population was now up to 255 with 198 living on reserve. In 1982, a major specific land claim was settled for lands that were taken away in the early 1900s. Money from this settlement was used to purchase two parcels of land in 1984 in the Gallagher Canyon area. These parcels were granted reserve status in 2001 and are now known as Medicine Hill Indian Reserve no. 11 and Medicine Creek Indian Reserve no. 12. The land base for Westbank First Nation now totaled 5,306 acres. A Head Lease is a Crown land lease with a local government, Band corporation, Crown corporation or other public entity (including a port authority) which permits the tenure holder to sub-tenure to third parties. Typically the Head Lease is for 99 years. A Sublease is a legally binding contract made between a tenant and a new tenant (also known as a subtenant or a sublessee). The sublease gives the sub-tenant the right to share or take over the rented premises from the first tenant. Pre-paid: The entire rent/lease is paid in full from the beginning. Often a pre-paid lease is more attractive for buyers as it doesn’t adjust to inflation as some payable leases can but then again not everyone has that much money to spend at one time if they are factoring in down payments, deposits and moving costs as well. Pre-paid leases can feel similar to owning a conventional freehold titled property since the only monthly and annual fees are those which a homeowner would normally pay, such as strata and/or condo fees. It is marketable only when the lease is not nearing renewal – the closer to renewal date it is, the more the value is certain to drop. Banks generally only finance leaseholds that have at least five years remaining on top of the amortization period. When you purchase a leasehold property, you own the actual home and/or buildings on the land (depreciating assets), but you rent or lease the land itself (fixed asset). Most leasehold real estate in the Okanagan is based on a 99 year Head Lease divided into sub-leases for each individual property. As with any lease you are considering, review it with your lawyer. If the lease is part of a purchase involving Native Land, find a lawyer who specializes in these properties. Be sure to allow extra time to remove conditions, sometimes up to three weeks, as paperwork must go through several channels. If your potential land purchase is on Westbank First Nations land, be aware that Westbank lands are not governed under the Indian Act. Rather, Westbank lands are governed under a comprehensive set of community laws. WFN has full jurisdictional control over Westbank lands and resources. WFN is governed under the Westbank Self Government Act – the WFN Self Government Agreement between WFN and the Government of Canada, which came into existence in the year 2000. Within the Okanagan, most leases on WFN land have been in existence since the early 1990′s, leaving approximately 75 years left on leases depending on which development – another important fact to take into consideration. For an archived list of WFN Leases and terms you can browse here. Contact me if you are considering the purchase of property in the Okanagan – I will help you find what is best for you and guide you through the process! Posted 01-22-2015 by Marika & filed under Buying in Kelowna, First Time Home Buyer. The Home Buyer Tax Credit is a non-refundable tax credit that certain homebuyers can claim on qualifying homes purchased after January 27, 2009. This tax credit is calculated by multiplying the lowest personal income tax rate for the year (15% in 2014) by $5,000. Homes that qualify can be single-family or semi-detached homes, townhouses, mobile homes, condominium units, and apartments in duplexes, triplexes, fourplexes, or apartment buildings. A share in co-operative housing that entitles you to possess and gives you equal interest in a unit also qualifies. However, a share that only provides you with tenancy does not qualify. Additionally, you must occupy the home as a principal place of residence no later than one year after it is acquired. To apply for the First Time Home Buyer Tax Credit, you need to complete a First Time Home Buyer Property Transfer Tax Return when you or your legal representative register the property transfer. After applying, you must meet additional requirements during the first year of property ownership to maintain the tax exemption. Are you considering purchasing your first home? Contact me today to discuss your real estate needs! Posted 01-11-2015 by Marika & filed under Kelowna Market Statistics, Sellers Tips. To list or not to list? This is the question many homeowners are asking themselves right now. “Do we wait for Spring selling season to begin?” Asked wannabe Seller number 1. “Is it too soon to put our house up for sale in January or February?” Asked wannabe Seller number 2. “It’s cold out there”, said the wannabe Seller number 3. Well, these three Sellers have one thing in common – they are going to miss out on a fantastic opportunity to get their house SOLD before the market gets saturated in Spring. What would you do if I told you that the Kelowna Real Estate Market is the Strongest it has been in 7 Years? I think your answer would be: LETS LIST TODAY! So, the answer is NO – It is NOT too soon to list your home and waiting until Spring may be detrimental to the sale in terms of price and time on the market. Currently, the inventory in Kelowna is very low but there are Buyers out there looking and keeping us agents busy. Agents are busy, yet frustrated as the listings just do not satisfy the demand. The Okanagan Mainline Real Estate Board (OMREB) reported December 2014 sales activity of all MLS® property types improved by 24% compared to 2013, ending the year on an upswing with consumer demand the strongest in seven years. “While demand typically pulls back during the holiday season and edged down in other BC markets during December, Okanagan-Shuswap home sales continued to rally after an unseasonably cold weather slowdown in November and finished the year on a solid note,” says Darcy Griffiths, OMREB President and active REALTOR® in the North Okanagan. It is important to take advantage of what the real estate market brings to us. It is an ever-changing marketplace and we need to take opportunities as they arise. If you are thinking about selling your home this year, do not wait too much longer. Beat the Sprig rush and get your home sold faster. I can help you, and I am only a phone call away!